Yarn Type SALE 20% OFF! An interesting blend of Cotton, Linen and Modal which gives it a wonderful drape with a soft handle. 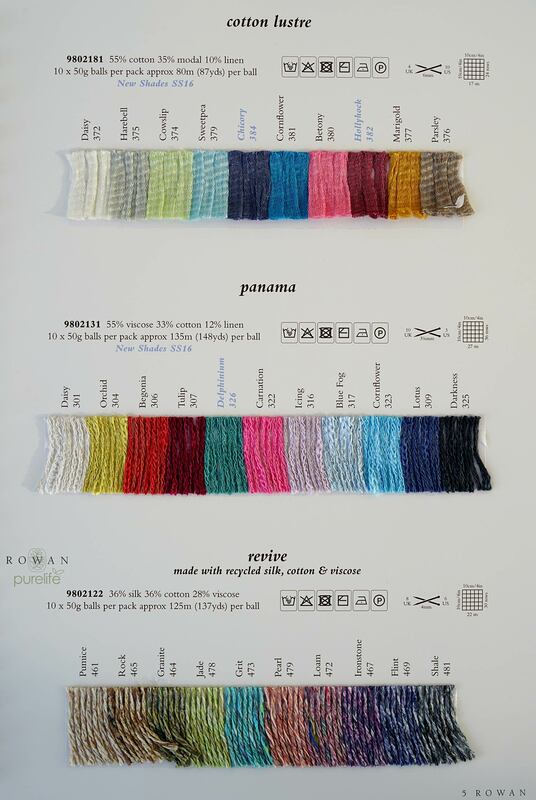 This yarn en-corporates the essential summer shades and knits on 6mm needles making it perfect for a quick summer knits. The colour palette en-corporates the essential summer shades. 55% cotton, 35% modal, 10% linen. Machine washable at 30 C.
A collection of 13 designs by Sarah Hatton using Cotton Lustre. Fashionable and simple textured knits are included in this collection showcasing the drape of the yarn perfectly. Garments are quick to knit and range from Simple seamless sleeve sweaters to vests and textured cardigans. Photographed with a clean backdrop this collection has a wonderful light fresh feel.